As you may know, I'm always on the lookout for new and profitable fundraising ideas. Well, last month I came across a concept that is quite unusual, but in my opinion... Incredibly Brilliant! 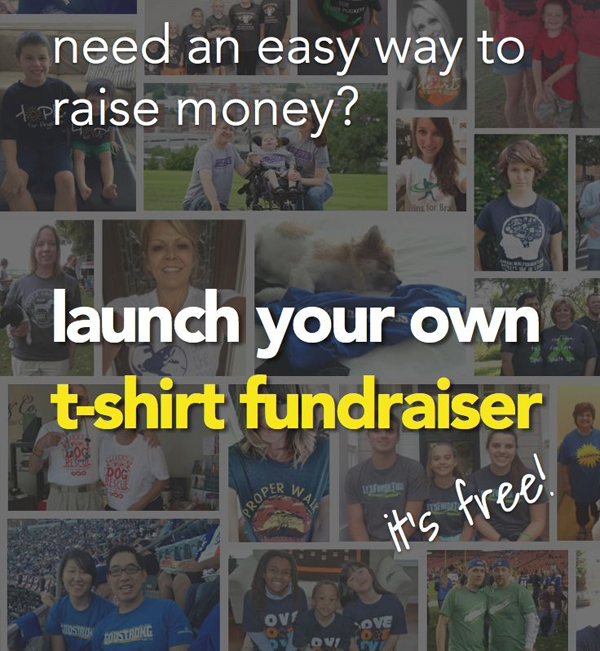 It's essentially T-Shirt Fundraising and Crowdfunding mixed in one. Two great fundraisers in their own right, now combined! It all started when I stumbled upon BonfireFunds at the beginning of Jan (They're the platform that makes this fundraiser available to the world). I immediately loved their idea! It's RISK-FREE! - It's doesn't take any funds out of your pocket. It's FREE to setup and you don't have any T Shirt printing costs, or shipping costs. It's HASSLE-FREE - You don’t have to worry about printing T Shirts, taking payments, or shipping the T Shirts. BonfireFunds does everything for you. You just have to do 3 things really well (read further below). It can go VIRAL - With the right promoting from you, your campaign will be shared by those that donate and visit your campaign page as well. This means your campaign is not only limited to your marketing reach. But will also extend to the reach of those that share your campaign, which could start a snow ball of activity, creating a viral campaign. SO... encourage people to share! It Promotes your Cause or Brand - As with any Apparel Fundraiser, the T Shirts that you sell will proudly display your logo or cause slogan. It develops PRIDE and SPIRIT - Another off-shoot benefit is that it can develop pride and spirit amongst your supporters... As they are able to show off their support for your cause or participation in your organization. More motivation for them to support and give. It Provides an Award for a Donation - This creates that extra bit of motivation for potential supporters to give. Might help those fence sitters off the fence... Especially if your T Shirts are great. It is available worldwide (wherever PayPal is available) - Yes, they ship T Shirt across the world! Design your awesome custom "cause" T Shirts - They must be great! Set a T Shirt price. Write a phenomenal Fundraising Pitch that connects the reader emotionally to your cause, and has a clear "call to action." Some of RFI's readers have already run successful fundraisers with this idea since I started recommending it a few weeks ago. For example, Forever Loved Pet Sanctuary quickly hit their goal by selling 56 custom T Shirts and raising $492. Friends Association for Children - Who raised over $24,000. And Lindy Pride, In aid of Lindenhurst (which was Devastated by Hurricane Sandy) - They raised almost $13,000 from their campaign. Please let me know if you decide to run a T Shirt Crowdfunding Campaign (by replying to this email or through the RFI site contact form). I'd love to find out how you find the process. And we can celebrate your success right here on the Fundraiser Buzz ezine!